Excellent! I like the intro. Very professional, commercial sound. This should be on every country station in the country! Wonderful vocals. I like the lyrics, they tell a story. Really like your voice. That's a great band backing you up too! I hope ya'll are out gigging a lot, you should be! You're that good! Loved it! Adding it to my listen list. Excellent song great commercial sound.The vocals and music arrangement is very good. Nice change ups throughout the song awsome! guitar leads.Congrats! on a well produced song. I can see it being played on radio play lists. Good song starts great with the bluesy guitar lick leading into the Country beat. Nice Bass line the guitars are sweet, I hear a little slide work going on in here. The Vocals are good the song moves along nicely. I was impressed with the lyrics and arrangement. A great vocal presentation. I wasn't sure in the beginning but when the chorus kicked in I was captured. It brought the west alive and captured the cowboy. Keep the music coming! 'Ride Tough' should become the anthem for the Rodeo circuit. Professional production, fine singing and excellent musicianship. I could easily see this song in rotation on Country radio. Good job. Great song..love the guitar sounds ...good voice!very talented writing..This song already sounds like a number one hit.Delivery and excecution is spot onjust the way this tune has been mastered is just ..right..like be the musical breaks..Sometimes modulation is used to create even more tension and release..Great job with the lyrics tells a good story!This song is definitely 5 stars in my opinion.. Keep writing and producing such good work.. want to hear even more..! GUYS i really like this sound.. really like the Lyrics and all the instrumentals are GREAT! Song starts off really cool and builds up ! Powerful and keeps MY ear very interested and I don't hang UP !! Really like your voice Larry nice to listen to a great country sound!! Great Job !!! You got my VOTE!! ON ANOTHER NOTE I LOVE COWBOYS !! Hey bro you did it again another great song from a very talented man thanks my friend for giving the world another great song well written song the music sounded good along with the lyrics keep up the great work hope you get lot's of airplay keep me updated on new songs and if you have an album let us know I hope what I have said will be of some help from James Milligan President/CEO,New Experience records/Rick Ross Music Group/UMG. Really nice production, love the slide guitar! Strong lyrics, commercial vocals. I'd say you have done your homework in attaining that Nashville sound! Awesome! All the Best of luck Larry! I love the way you write. It seems like you have ridden on the circuit before. Along the lines of Chris LeDoux. Obviously this is a pro band. You can tell these guys are seasoned. The guitar and steel work really well together. I can't believe this is not on the radio. Really good, I love it. Tough Ride... but, LARRY did it! Traditional country song with a touch of new country flare... Well done! The hook is catchy! Also, the production is good quality. It isn't overly produced so much that it sounds really fake like a lot of songs at our level! PROPS 2 YA'LL! 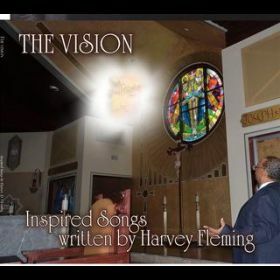 Larry has a great voice and this is a well written tune with some nice tracks. Great lyrics and a Nashville/Texas feel makes me feel like this guy is local!! (Nashville) Love the steel guitar and the whole feel of the song. Cowboy Country... Nice work!